A Bahraini economic delegation recently concluded its official visit to India, organised by the Bahrain Economic Development Board (EDB), aimed promoting investment opportunities in the kingdom. The delegation's activities were centred in Mumbai, said a statement from the organisation. The Bahraini delegation included officials from the EDB, the Central Bank of Bahrain and representatives of the private sector, it said. During the visit, the EDB organised a business forum which formed an important interactive platform or delegation members to discuss opportunities with around 100 Indian investors and sector representatives. The delegation sought to enhance the bilateral investment relations between Bahrain and India by promoting the kingdom's investment opportunities in the financial services, financial technology and real estate sectors, as the kingdom is the ideal gateway to the Gulf market, worth $ 1.5 trillion, it added. The visit is part of the EDB's efforts to attract investments to the kingdom to contribute to the creation of jobs in the local market. In 2014, The Ministry of Industry, Commerce and Tourism and the EDB coordinated the visit of an economic trade delegation to India to encourage investment between the two countries, coinciding with the historic visit of HM King Hamad bin Isa Al Khalifa to India. Mumbai is a vital hub for financial services and technology in India. During the visit, the delegation highlighted Bahrain's experience in creating a supportive environment for incubators and business accelerators represented by the Bahrain FinTech Bay, as well as discussing the competitive advantages of the kingdom's investment environment in terms of low operating costs, its advanced legislation and economic openness. The visit saw the signing of an agreement between the EDB and the Indian state of Maharashtra to create a framework for cooperation in the promotion of innovation in financial technology and to provide mutual support to the financial technology environment through training programmes. The Bahraini delegation also met with officials from leading Indian companies, with ties to major international businesses, in the areas of trade, entertainment, financial services, Fintech, consultations, business solutions and ICT. The delegation discussed potential to explore cooperation, where representatives of the Indian companies showed interest in strengthening its relations with Bahraini business sectors. 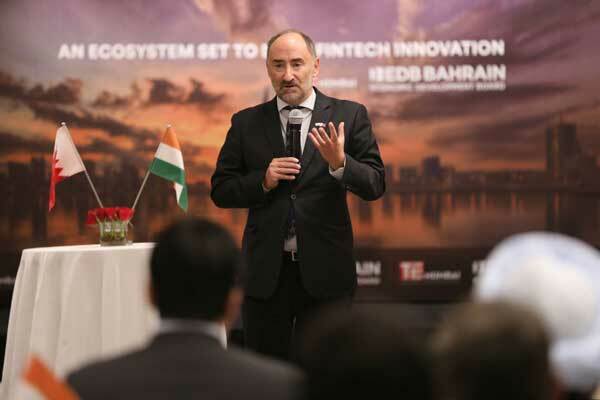 “Bahrain and India have many common interests since both countries are seeking a transformation towards a digital economy, and an adoption of tech solutions by the financial services environment in both countries,” he added. Bahrain and India enjoy strong economic and trade relations. According to the latest statistics, trade between both countries has exceeded $1 billion. Bahrain’s industrial diversification policy has played a major role in boosting economic cooperation with India. Currently, there are more than 23 branches of Indian banks and companies registered in Bahrain, in addition to 3,181 joint ventures registered in Bahrain. The Economic Development Board has attracted 76 companies with a total investment of BD305 million ($810 million), surpassing the record achieved by the Board in 2017 when it attracted 71 companies with a total investment of BD276 million ($733 million).